A staple in the community of Atascadero is a body of water that provides a serene view of nature. But that wasn’t always the case for the Atascadero Lake. 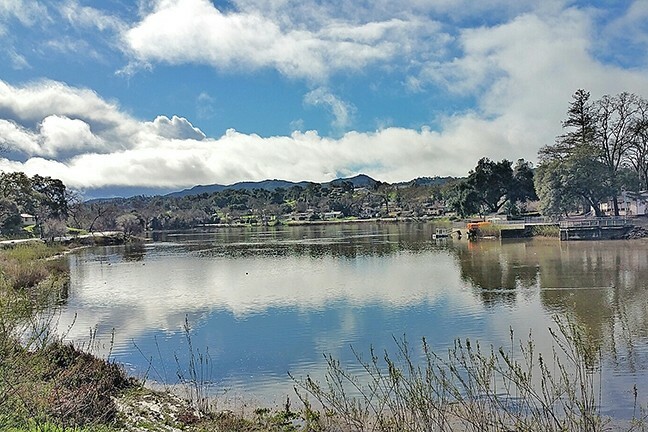 About three years ago, a group of residents formed the Friends of Atascadero Lake, and they keep the city updated about what the lake needs and what projects the group will tackle. The latest project that these friends are working on is an aeration system that will improve the lake’s water quality. QUALITY: The efforts of the Atascadero community working alongside their city have given back water and life to the Atascadero Lake. The group and the supplying company EP Aeration presented their project to City Council on Jan. 10. Richard Dennis, a representative of the local company, presented the impact the system could have on the lake’s algae problem. It would circulate the water several times a day, starve algae of nutrients, and provide the lake with oxygen. Dennis said the project would cost approximately $13,000, which will be funded by the Friends of Atascadero Lake. But the city needed to approve the project and agree to cover maintenance and electrical costs to run the aeration system. Paul Murphy, president of the Friends of Atascadero Lake, said they have the opportunity to continue fundraising for the project at the second annual Tamale Festival in Atascadero, taking place Jan. 21 at Sunken Gardens. Some of the ticket sale proceeds will go toward the project. With fundraising and donations, the group is hoping to get the system installed before May, as it’s planning the second annual Lake Fest. Murphy said the festival is an effort to bring awareness to the lake and the efforts the Friends of Atascadero Lake are making to restore it. The main goal is to bring back the beauty of the lake while simultaneously improving its water quality and quantity. This group of people came together for the concern of a lake that was drying out around its community, said Jonathan Trumbull, a member of the group. A key to getting the group together, Trumbull said, was the city’s former public works director, Russ Thompson, who sent out a notice to Atascadero residents about meeting to discuss the future of the lake. “He suggested forming a citizen group, and the crowd came up with the idea, and that’s how Friends of Atascadero Lake was born,” Trumbull said. Those citizens put their heads together to tell the city about a damaged pipeline in the lake, that the city then fixed. The group also found a resident close to the lake who was willing to drill a well on their property to supply the lake during the summer season, when the water would evaporate, Trumbull said. According to group President Murphy, volunteers joined the group in October to trim the bushes and clean up the lake with approval of the city and a biologist, who oversaw the work to ensure no damage was done to lake habitat. The group has had two main purposes during the past couple of years: to directly work on the lake and to keep the city informed about it. “The city owns the lake, and one of the things that we’ve done that’s important is monitor things that the city is doing and what they can do,” Murphy said. To learn more about how to volunteer or donate to the Friends of Atascadero Lake visit friendsofatascaderolake.com. • Old Juan’s Cantina in Oceano recently presented a check of $2,700 to the 5 Cities Homeless Coalition of San Luis Obispo. The restaurant pledged $1 of every item ordered off the combo menu in December to the nonprofit. This is the seventh year that the restaurant has supported a local nonprofit in the month of December.